With a shiny lacquer black body and gold trim, these pens are an excellent writing partner. Choose the best. 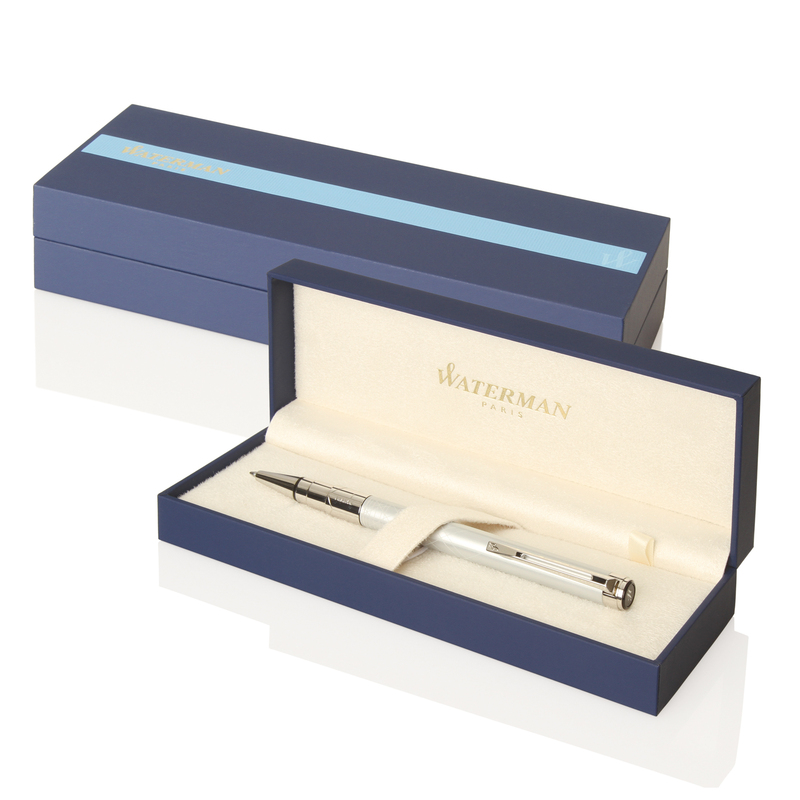 Promotional pens don't come with more class or sophistication than a high quality waterman pen. They are an experience to write with and allow your creative thoughts to be expressed as you want them to! Available with an engraving (gold colour) or a print with your logo on the cap they look stunning. Get your logo on a Waterman pen today.